Southern Morocco is one of the best destinations for visitors wishing to explore and discover the cultural heritage of this fascinating country . For centuries, many tribes belonging to different ethnic groups settled there . Each of these tribes has its own way of expressing his pleasure, his own way of life , and its own particular popular culture, which is an excellent site where visitors can admire the variety and richness of their folklore. In this article I will explore the folklore of Ait Atta tribes settled in the High Atlas, in and around the cities of Tinghir Zagora and Errachidia, near Marrakech. The Ait Atta tribes of southern Morocco are very famous throughout the kingdom for their positive contribution in the Moroccan resistance against the French and Spanish colonization and their vital role in the independence of the colonizer in 1956. The folklore of the tribes Ait Atta is also admired and recognized , especially their dances, songs and poetry. Men keep forming a single straight line , while the women remain in a forward line on them. Each dancer holds his right hand to the right of the other dancer hand and his left hand found his left. One of the men began to sing poetry and love is usually the subject of these poems. The same man repeated a verse of poetry several times , after which the men repeated together. Then the singing men and women parts. The men play their drums " dfoufs " and slowly move women to finally retrace their steps to enable women to perform the same steps. Participation in dance is allowed to both sexes of the same tribe , to recognize and enter into marriage. The number of dancers varies between 8 and 20 , but it must be an even number. The women in this dance are dressed with a long " Izar " or skirt - tails can be as long as 40 feet and covers his entire body. The men wear the traditional " jilbab " or " draaia " dress and a white turban around their heads . The world revolves around a " Halka " (which means "hook" , "circle" , "circle " or "public") , a wide circle of people circling until the two lines back to starting point. At the end of the dance of the men put the battery on the floor. The Ait Atta Folklore is not only dances and songs, but also a large number of actions that contain many symbols such as conflicts between men and women or attachment to traditions and customs. More than that, the Ait Atta tribes are very famous for their special law called " Azerf " . This law regulates the life of the population in terms of policy, agriculture , social activities , religion, etc. 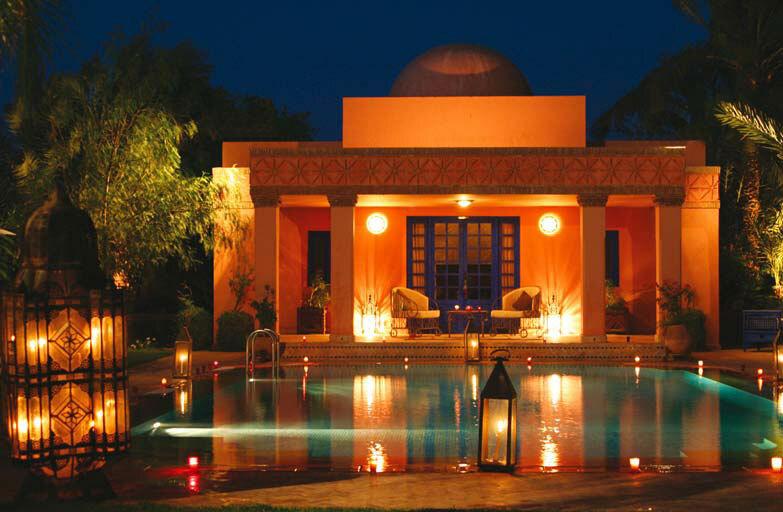 , and was created to preserve the original lifestyle and customs of the Berber tribes . The Ait Atta Folklore is another fascinating element of Moroccan folk art and culture , reflecting the rich musical and cultural heritage and varied Morocco . 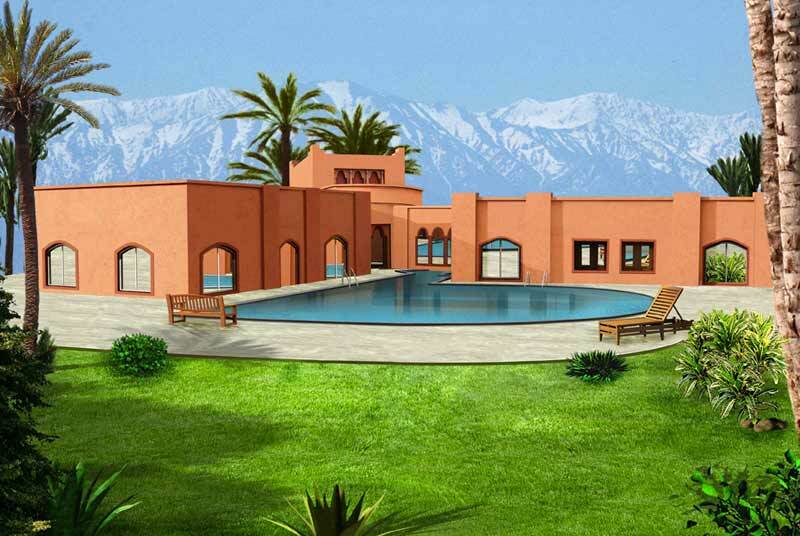 Come to the beautiful ocher city and stay in a beautiful villa in Marrakech, where you have a unique opportunity to enjoy countless concerts , cultural events, and all kinds of Moroccan folk art , including folklore Ait Atta . Rent a guest house in Morocco and you will also have the chance to experience traditional life in the Moroccan countryside , so full of generosity and brotherhood in an atmosphere of beautiful rhythms, beautiful dances and perfect melodies. David Gonzalez -Company (BA Degree in Philosophy , Universitat Valia (Spain ), MA (Hons) in Mental Philosophy at the University of Edinburgh ( UK ), DEA in Comparative Literature from the University of Washington (USA) ) is a writer, journalist , educator and translator who has traveled extensively and lived in several North American and international African, European , .